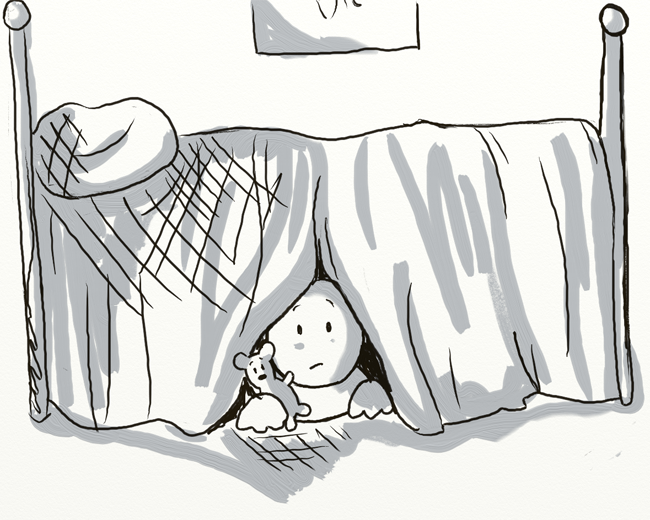 I’ve been doing my best at trying to pretty much hide out under my bed lately. With all of the people and plans surrounding this new existence that includes a brain tumor, it’s easy to feel completely overwhelmed. And I’m an introvert. The bad news is I have what they have deemed an inoperable brain tumor. My meningioma is too deep in the brain and too close to the brain stem for surgery, so my neurosurgeon immediately handed me off to a Radiation Oncologist. I didn’t know that was a thing. But to be fair, I’m learning a lot these days. So there’s no shaving my head and brain surgery. That’s in the good news pile, along with the fact that I live in an area that has some pretty awesome medical centers. I just got off the phone with the scheduling for the “Aiming Session” for the treatment. The bad news is I have a brain tumor that is inoperable. The good news is it is treatable. It’s amazing how quickly things move with insurance and referrals and even scheduling when there’s something big on the table. I was up at Georgetown University Hospital last Tuesday and if you read last week’s blog you know I met with the heads of neurosurgery and radiation oncology. The doctors all met and discussed my case on Friday and by Friday afternoon I had a phone call from Dr. Collins says they were giving the go-ahead for radiation treatment. CyberKnife is among the newest and most advanced radiation treatments available. It’s called stereotactic radiosurgery, but it’s not surgery in the traditional sense. I’ll be laying in a room while the machine moves around me, tracking my respiration in real time, and sending beams into the tumor, hopefully destroying it. The doctors are saying sooner is better for treatment, for all the obvious reasons, and because if the tumor gets any bigger, it (and I) won’t be a candidate for radiation treatment. Inside of a week, I have seen 2 doctors at Georgetown, reported back to my neurologist down here in Southern Maryland, gotten the go-ahead for radiosurgery, gotten all of the approvals and referrals I need through my insurance, and scheduled my aiming session. In 2 weeks, I’ll go back up to Georgetown for an MRI, a head CT (with contrast), and the molding they need for some kind of a mask for me to lay in for treatment. Or something. Like I said….still learning. This is all very strange. For all of the really obvious reasons, but also because I have spent most of the last 20 years or so juggling everything else around everyone else’s schedules. I have 3 kids and a husband that just retired from active duty in the last year, so to be told to just schedule appointments and treatments when I need to and everything else will work around that is very hard for me. I keep thinking D has this on this day, K’s birthday is coming, hubs has this for work, AND I’m trying to schedule everything for my mom to fly across the country and be here for treatment. Nope, I get told. Schedule what you need to and we’ll make the rest work. It’s overwhelming. This is very strange. If you need me, I’ll be under the bed.